Designs can be downloaded immediately after ordering. These instructions demonstrate how to download with Firefox. 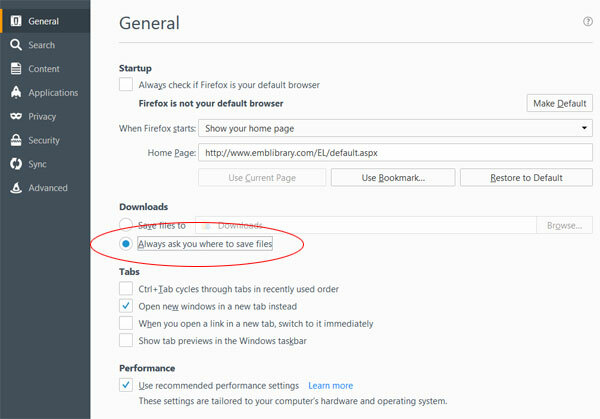 Begin by checking the settings in Firefox. Open Firefox, click on the icon with the three horizontal lines, then click on Options. Older versions may call this "settings." 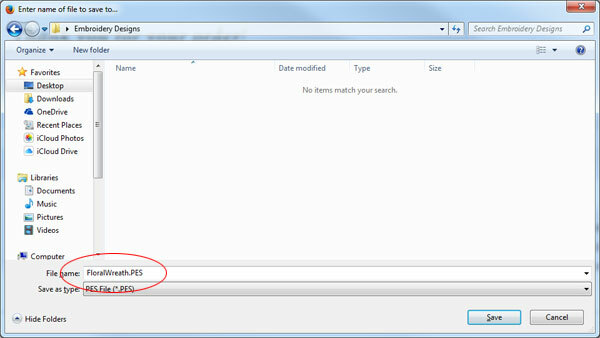 Under the "General" tab there is a sentence that says "Always ask you where to save files." Click the radio button to the left, then click "ok" or close the menu. Next, click the Order History tab. Click on the link to the order number, or click the View Order button to go to the order details and downloading buttons. Look for the column labeled "Download." Most designs will have two links. One is labeled unzipped, and the other is labeled zipped. Click on either "unzipped" or "zipped" -- whichever you choose. Firefox will ask if you want to open or save the file. Choose "Save." Click "OK."
Firefox will ask where you want to save the design. Choose your preferred location. 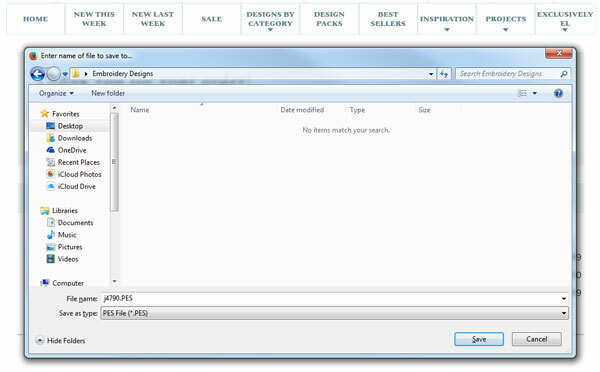 In the example below, the design is being saved to a folder called Embroidery Designs, located on the computer's desktop. You can also save the design to a USB drive at this step. Then, click 'Save.' 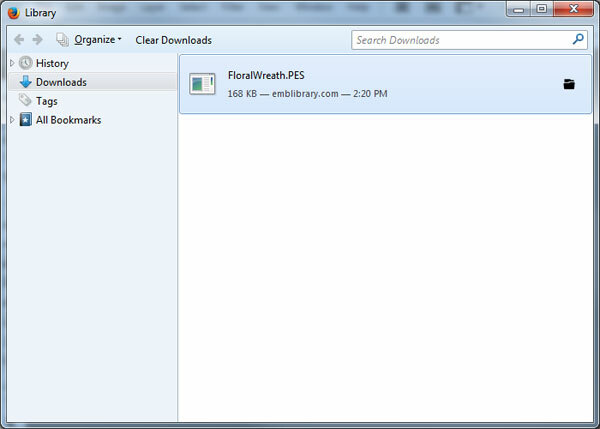 You may see a message pop up on the lower right of Firefox, advising that the downloads are completed. Or, you may see a green arrow flash indicating the file has been saved. The design is now saved in the area that you selected.